It is the best alternative to DocuSign. It lets you create signature online and you can even send the documents to the recipients via the internet and they would be able to create signature online without any bother. The SignX lets the user create an electronic signature and use these wherever needed. That means you don’t have to go through the irritating paperwork on a daily basis like it used to happen earlier. You can even sign and send the PDF files for the signature. 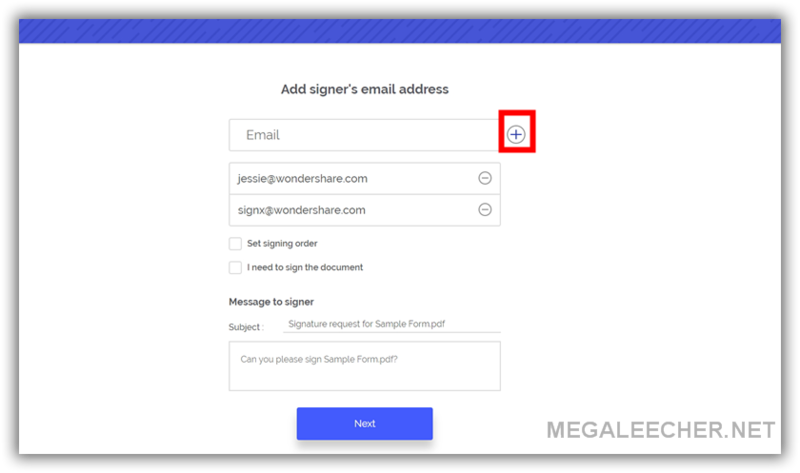 So, you don’t have to worry about how to sign PDF because SignX lets you do that. The SignX is the best free signature creator that makes it possible for your create online signature and use these whenever required. It is known to be the most professional electronic signature platform that quickly and securely lets you sign your business documents anytime and anywhere. It has been found that it has increased the closed deals by over 50% and the workflow efficiency by over 60%. The best part about using the SignX is that is available for free. 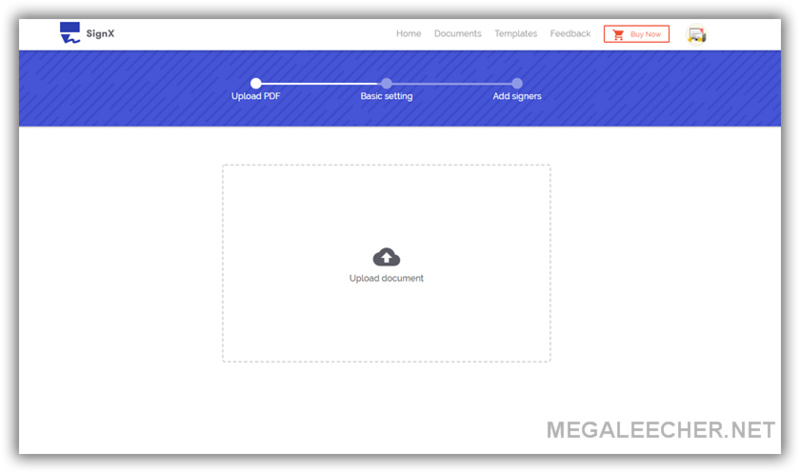 You will simply have to upload the document to the site. For this, you will have to click on the panel and select the document that you want to be signed by the recipient. Now, you will have to add the signers to the document. For this, you will only have to add the email address of the signer/recipient. But in case, you are also required to sign the document before sending it to the other person, do sign it before you send it. Then, click on the ‘Next’ button. If you want, you can add the fields to your document as per your requirement. You may add fields like date, titles, signature, company etc. Once, you are done with the customization of your document, click on the ‘Send for Signature’ button and your documents will be sent to the signer/recipient. The best part about the SignX by Wondershare is that you will be able to track your documents on the SignX account dashboard. Now, you know how to do electronic signature using the SignX. With this, you will be able to upload estimates, agreements, contracts, and other useful documents to the clients that you want to share on the web or mobile browser. If you want to send the same document to multiple recipients, you can use SignX 2.3.0 to do the same. It allows you to add as many recipients to a single document as are required to do so. Just sign the document, add the email addresses of the recipients and click on send to send it to all. It will help by reducing your workload and saving your time. It is undoubtedly necessary for the sender to make sure that the documents and signatures are protected and that no one is able to view or misuse them. SignX takes care of this and provides strong commercial SSL encryption protocols so that you can keep your documents and signatures safe on the state-of-the-art SSAE-16 and ISO 27001 certified data center. SignX allows you to sign the documents with legally binding eSignatures that are completely enforceable and legal just like the manually written signatures are. It takes care of the fact that these signatures must be in accordance with the rules and regulations of different countries all over the world. You don’t need to use your browser for approving and signing the documents on your PC. With SignX, you can send documents anywhere, on any device, and at any time without facing any bother. It sends real-time notifications and lets you know that someone else has opened, viewed or signed the document. The SignX lets you create and reuse personalized templates. You can create these for an individual recipient. So, that means you don’t have to create the templates again and again. You can easily edit your documents. The documents can be easily personalized as per your requirement. Just drag and drop the fields for the personalization. It uses two-factor authentication for a secure end-to-end authentication. You can give the verification code to the document and share it with the recipients only to ensure that no other person is able to view the document. It has a user-friendly interface. You can use SignX very easily and without any bother. It makes the signing of the documents easy for both the sender and the recipient. 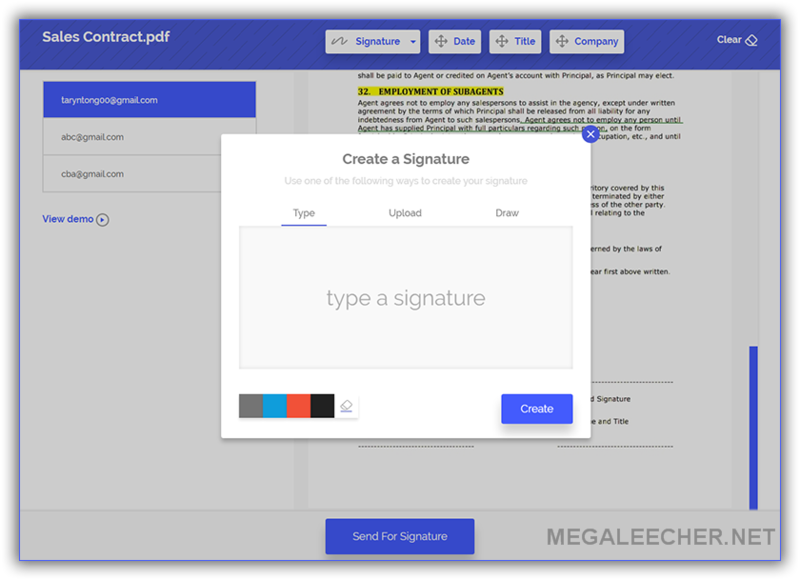 You can send up to 5 documents using the free version of the SignX. Apart from its free version, there are three other options that you can choose from. There are Premium and Enterprise plans that you can choose from. You can choose any of the plans as per your requirement and budget. You can consider the month license, 1-year license or multiple-user license as per your requirement.